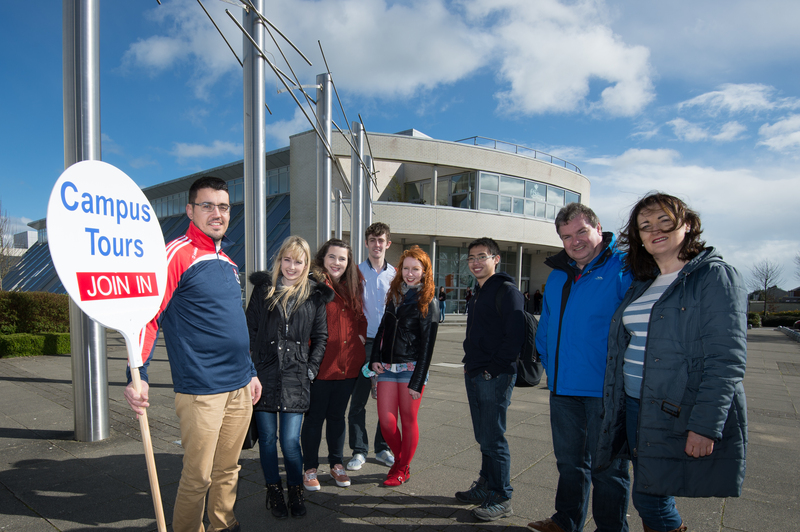 Waterford Institute of Technology (WIT) offer campus tours to prospective students who are considering enrolling in WIT and are curious about the campus and college life. The campus tour is delivered by the institute’s graduate ambassadors and helps the student get a taste for potential college life at WIT. The initiative has proved successful for a number of current students, both the typical Leaving Cert student as well as mature students who are considering returning to education. Leitrim student Kevin Byrne booked a campus tour to help him choose between BSc (Hons) in Agricultural Science in WIT and Dublin Institute of Technology. “After an excellent tour of the campus, facilities and an overview of my course details I decided to go for it”, Kevin added. Kevin felt more confident about enrolling at WIT hearing the Graduate Ambassadors own experiences, “hearing the tour guides personal experience, who was a graduate of the institute, played a huge part in my final, whole hearted decision. They gave me an insight into the goings on of the college, city life and what to expect from the local amenities." Current BA (Hons) in Social Care Practice student Paul Bennett availed of a campus tour due to his confusion between two possible areas of study, the social care course and the BA (Hons) in Social Science. “Personally I was torn between two degree courses, and found it difficult to select the one that was right for me as both offered equal opportunity for the future. However, each course was delivered on a separate campus one being College street, and the second taken on the main campus. This in itself made my decision all the harder, but after contacting Aoife to organise a campus tour, things became so much clearer”, Paul said. Paul was given the opportunity to speak to Social Science student, David Conway, who offered advice to Paul on the course. “David, a mature student offered a great insight of what to expect during your time at WIT and the facilities the main campus has to offer. While Aoife, an employee at WIT was very friendly and gave great practical tips and advice for college life and how things operate.” Paul added. Stay prepared! We recommend joining a club or society at WIT when you start college here, take a look at some of our students experiences as being a part of a club or society.